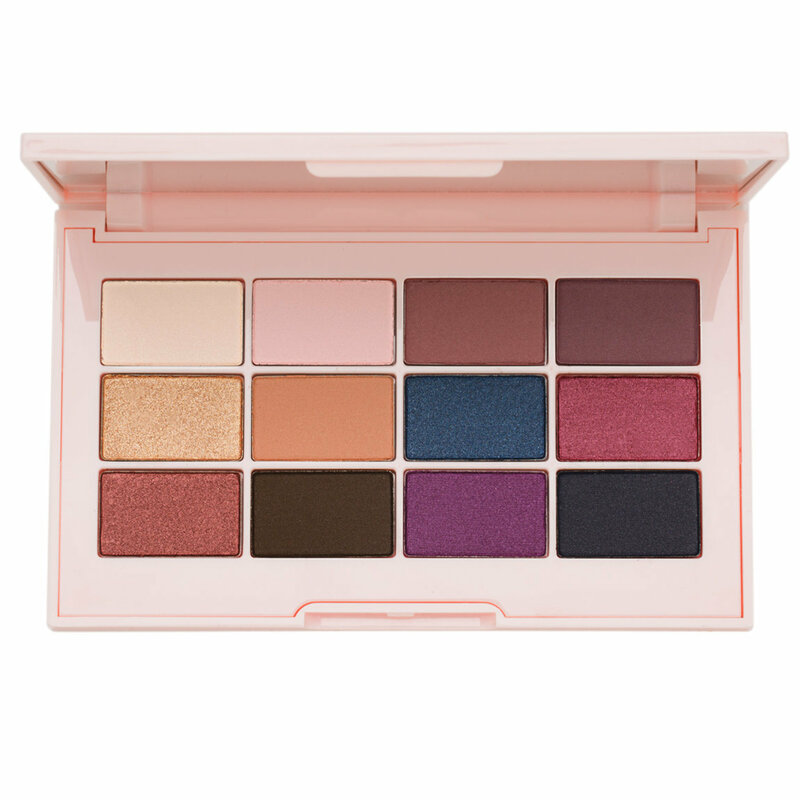 Inspired by the blossoming cherry trees that line the streets of Paris in spring, this eye shadow palette features 12 rich hues ranging from cool plums to warm neutrals in matte and shimmer finishes. Dust the eye shadow over your lid, crease, and brow bone with an eye shadow brush. Apply with a damp fine-tip brush to use as an eyeliner. I am an avid eyeshadow palette collector and user. I LOVE trying new eyeshadows. I was itching for a new palette and just happened to see this one while glancing over the new arrivals section, I liked the colors so I snatched it up. I honestly didnt have high hopes as it was a bit of an impulse purchase to satisfy an itch.....BUT OMG!! These shadows are amazing..Amazing texture, pigmentation and blend-ability and I am one picky girl when it comes to eyeshadow performance. I am very pleased with my purchase and will look forward to other palettes from this brand. Got this palette a few days ago and I like it! I don't love it but it's nice. Has a nice range of colors including a transition shade thank god! The shade True Gold has a ton of fall out so I recommend using a glitter glue for a base. I find that it also works best wet. I sprayed my brush with some Mac fix +. The pigmentation is decent. It's not horrible, but not the best either. However everything blends pretty nicely. The packaging is beautiful. It looked a little cheap to me honestly when I saw pics of it but it actually feels pretty high end. Overall I think this is a very nice palette! I am so Happy with this Palette from Jouer Cosmetics.. The Cours is beautiful, and the Pigmentation is awesome.. The Jouer is one of my favorite palettes.. If You don't have this Jouer palette please go get it,You won't be disappointed.. I will be getting Jouer Cosmetics.. I Wanna Try the foundation now,On my to buy list..Thank You Jouer Cosmetics & Beautylish.. The shadows are absolutely beautiful. They are creamy and go on so smooth. The pigmentation is out of this world and there's no fall out whatsoever. I don't even have to use an eyeshadow primer. The selection of colors is perfect! My fave palette! Wow love all the colors in this Jouer eye shadow plalette. I will be using this for springtime well into fall. Probably the worst palette I own (the infamous subculture palette is better.) I was most excited for the blues and purple. The lighter of the 2 blues is horribly patchy and lacking pigment, it's probably the worst shade for me. I have yet to try the purple but I can't seem to get any of the colours I've used (about 6) to blend and I end up just using my go to palettes. Am I doing it wrong? Does it not like my primer? My brushes? The only colour that is semi decent is true gold however I have pretty much the same colour in my favorite palettes to bother using this palette for 1 shade. I'll stick to the lip products from jouer in future as those are a win for me.